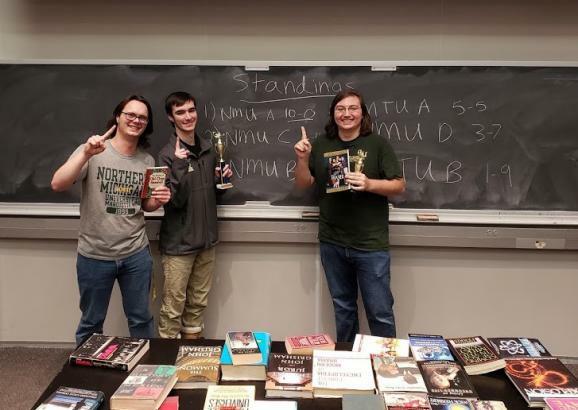 A Northern Michigan University Quiz Bowl team won an intercollegiate tournament held Dec. 1 at NMU. Four squads from Northern took on two squads from Michigan Tech in the double round-robin tournament. The teams were playing for the Superior Cup, a traveling trophy that is held by the top collegiate quiz bowl team in the Upper Peninsula. The NMU A team finished with a perfect 10-0 record to win the tournament and keep the Superior Cup in Marquette. Team A members were Dimitri Capers, Jakob Lippert, Sabrina Nelson and Eric Pitz. Lippert, a first-year student who did not play quiz bowl in high school, was the top individual scorer in the tournament. He averaged 97 points per game, which equates to answering about half of all the questions asked. The C team's Kurt Schaefer finished in second place in individual scoring, while the B team's Andrew Semak came in third. 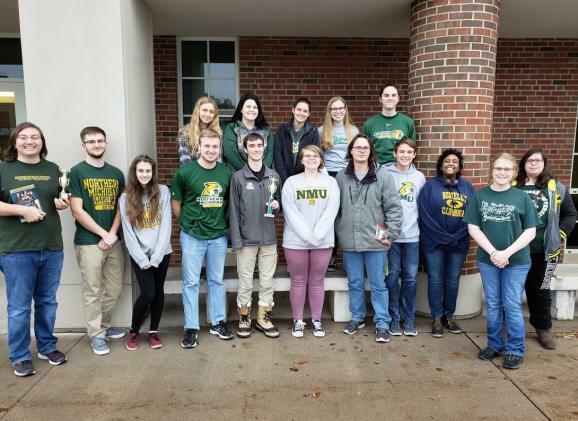 "The NMU Quiz Bowl team is enjoying continual growth, with around 20 active players this year, including many newcomers," said Michael Joy, faculty adviser. "It is one of the largest teams in the Midwest, attracting top-notch students to NMU to continue playing in academic quiz competitions."